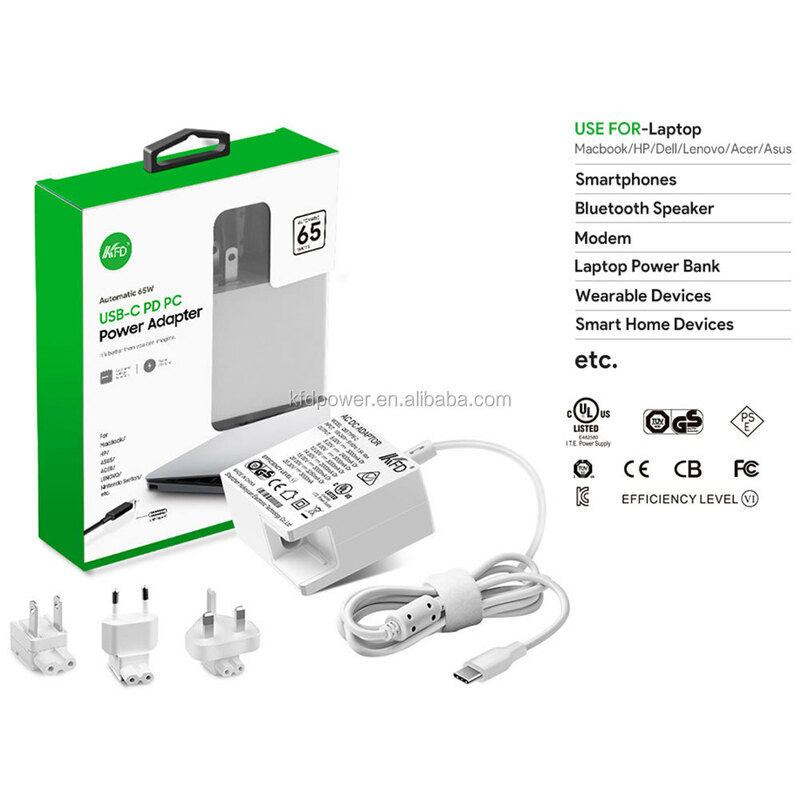 Modem,Laptop Power bank,Wearable devices,Smart home Devices and ect. 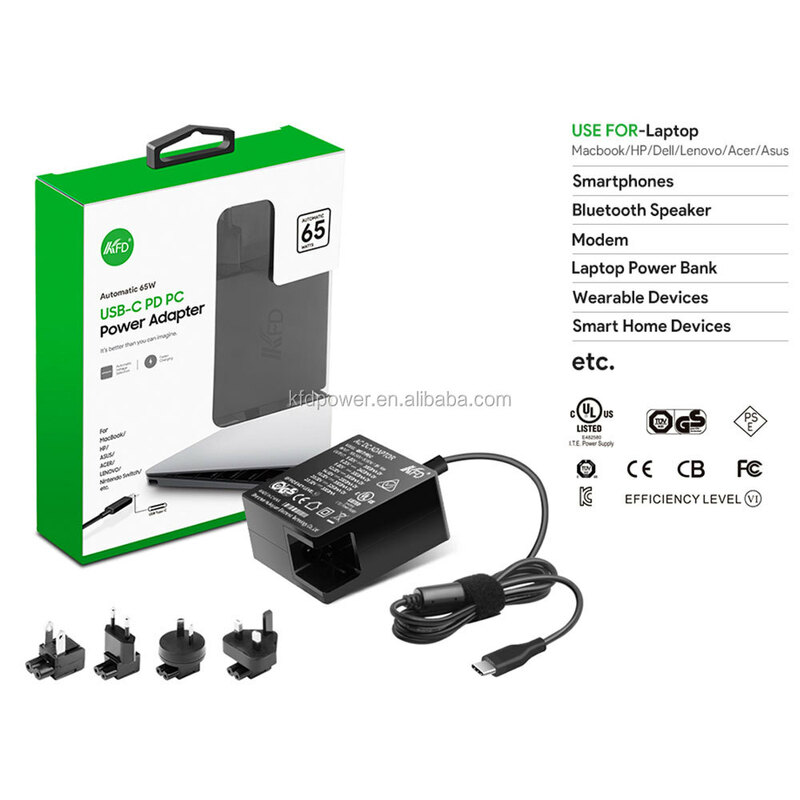 65W USB-C Laptop AC Wall Charger is a convenient, portable wall charger for your USB-C (also known as USB Type-C) laptop. With dispatchable plugs and integrated cable management, it’s easy to slip in your bag and easy to use. 6ft DC cable gives you plenty of flexibility in choosing an outlet. It is a good choice when you travel or commute or as a spare charger for home or office.Works with USB type-C power delivery enabled smartphones, tablets, and laptops including MacBook. Our mission – "power expert around you"
To keep you always powered and focused on archievement everywhere and every day. Founded in 2000, Cathedy Ltd is an established leading company in its field. The challenging, creative and stylish features of Cathedy Products offer an exciting user experience. Cathedy creates world-class-quality products with remarkable safety and deliver solutions for the home, the workplace, and a mobile lifestyle. 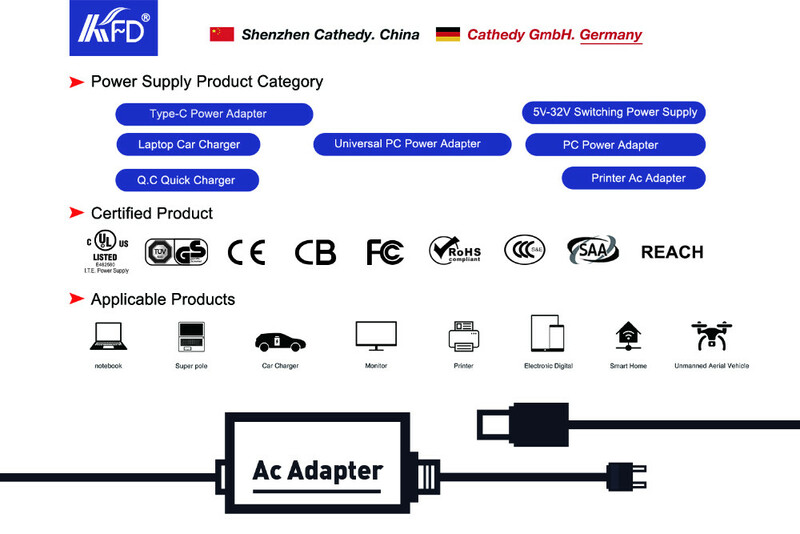 Cathedy Limited gives the customers a wide selection of choices, a full range of DC5-36V AC/DC adapters:for telecommunications equipments, for smart home devices, for Printers, for Scanners, for POS , for netbook/ultrabook/ laptop, for universal laptop , car chargers, tablet charger, USB wall charger,29W / 45W / 65W 61W USB-C Power Adapter etc. With our manufacturing plants located in Shenzhen ( chinese hightech megacity), we cover the entire production scope beginning with the in-house R&D, including the final assembling. We aim to provide precision engineering, efficient production, meticulous quality control, accurate operational support, global logistic and service support. The goal of the company is to not only create a high-end brand KFD in the retail market but also to offer OEM and ODM services for industrial and business applications. With an elite R&D team and advanced technical experience we are able to achieve a good standing within the industry.